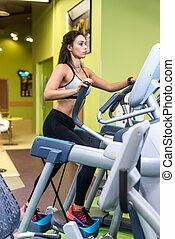 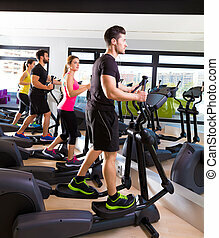 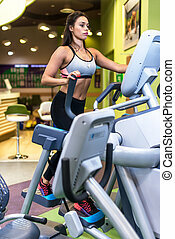 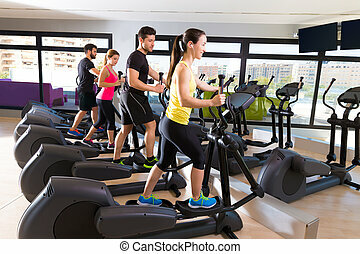 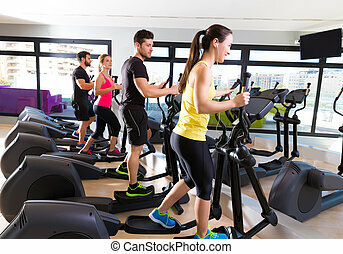 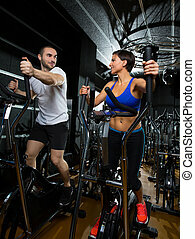 Fit woman exercising at fitness gym aerobics elliptical walker trainer workout. 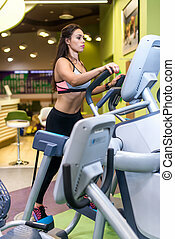 Fit woman exercising at fitness gym aerobics elliptical walker trainer workout. 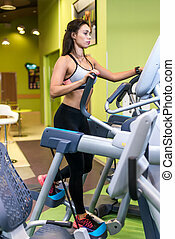 Fit Woman Exercising At Fitness Gym Aerobics Elliptical Walker Trainer Workout. 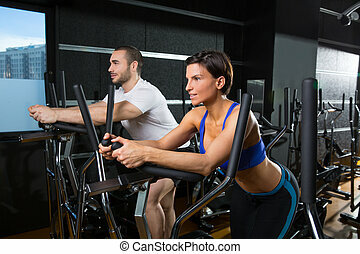 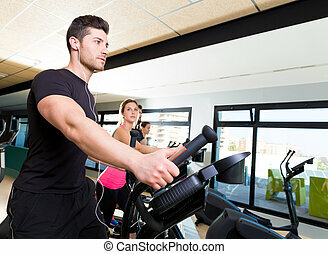 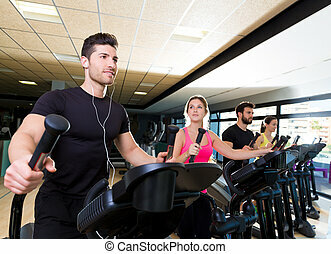 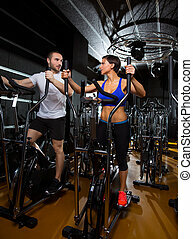 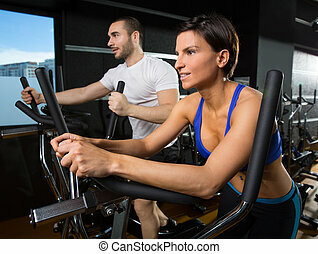 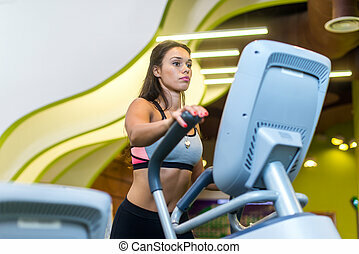 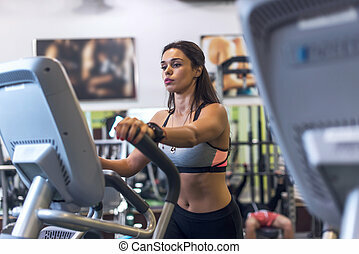 Fit woman looking at mirror, exercising with kettlebell in gym. 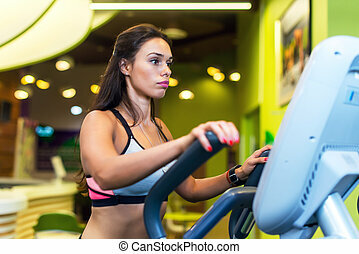 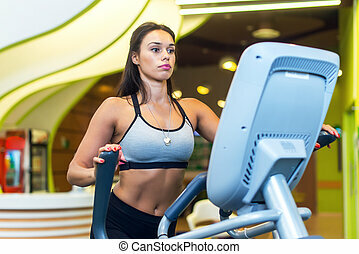 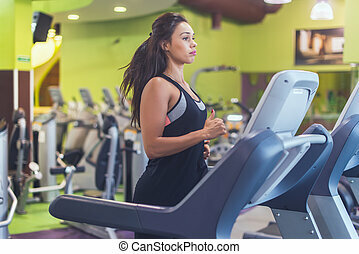 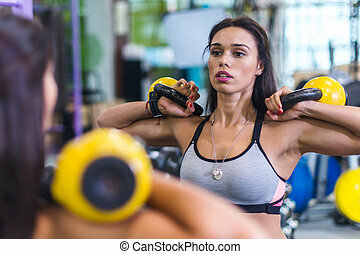 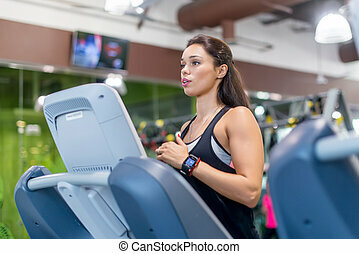 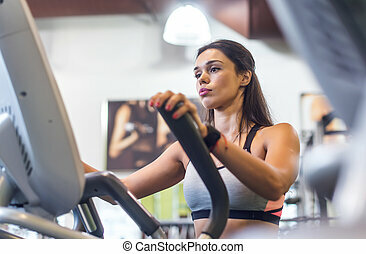 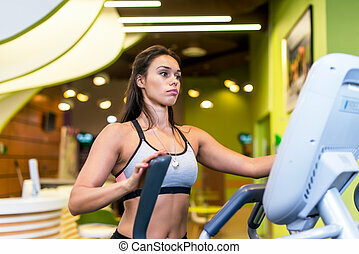 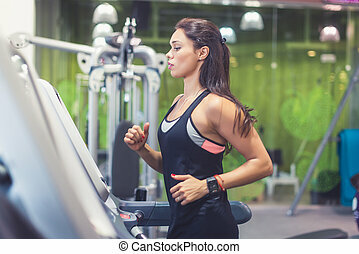 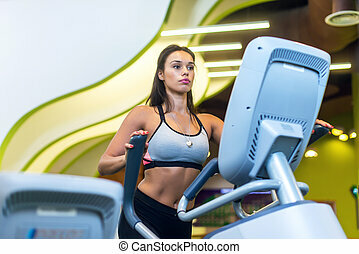 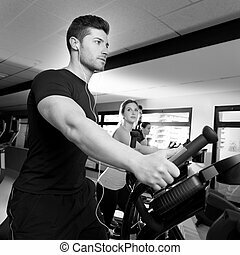 Portrait of fit woman looking at mirror, exercising with kettlebell in gym. 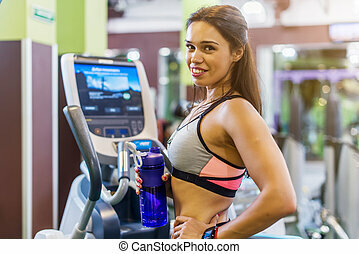 Fit woman doing split exercising at home Flexibility, stretching, fitness.